What Are Your Hair Essentials? Let’s keep the hair talk going, shall we? For your beauty challenge today we’re gonna spill the beans on our haircare essentials. I live in a top bun mostly out of convenience and laziness so I don’t use too many products to maintain and style my hair. See? There’s definitely a method to the madness here! I simply wash my hair, deep condition every once in a while and let it air dry before throwing it in a bun. Easy peasy! In between washes, I like to do a little maintenance like moisturizing and sealing my ends to keep them hydrated and healthy. 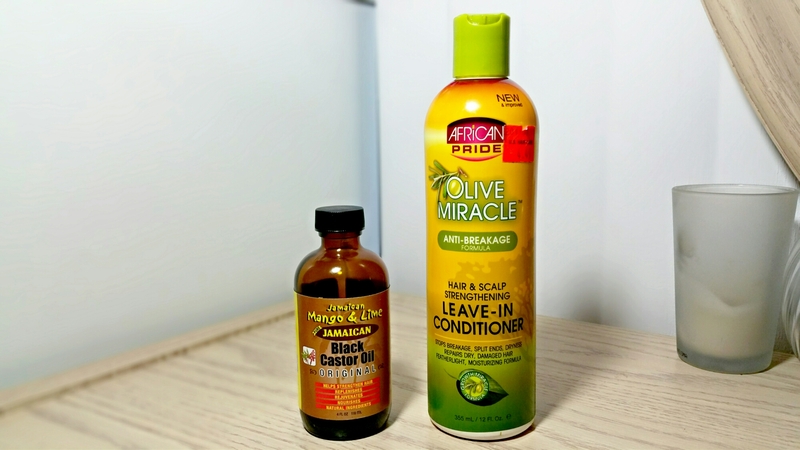 To moisturize, I use the African Pride Olive Miracle Leave-In Conditioner which has been a staple in my stash for years. The ultra hydrating formula almost feels like water on my hair–instantly making it moist and soft. Olive Miracle also gives me tons of slip so it’s great for detangling too. I then follow up with my Jamaican Mango & Lime Jamaican Black Castor Oil to seal in that moisture and condition and nourish my hair. It’s thick but that stuff works! For an extra boost of moisture, I also like to co-wash with my Aussie Moist conditioner. It’s slip city and makes my hair super soft and shiny. Plus it smells really good too. Co-washing with this baby is a great way to give your hair an extra boost in the summer! Then weekly/bi-weekly I like to nourish my strands with a good ol’ deep conditioner. 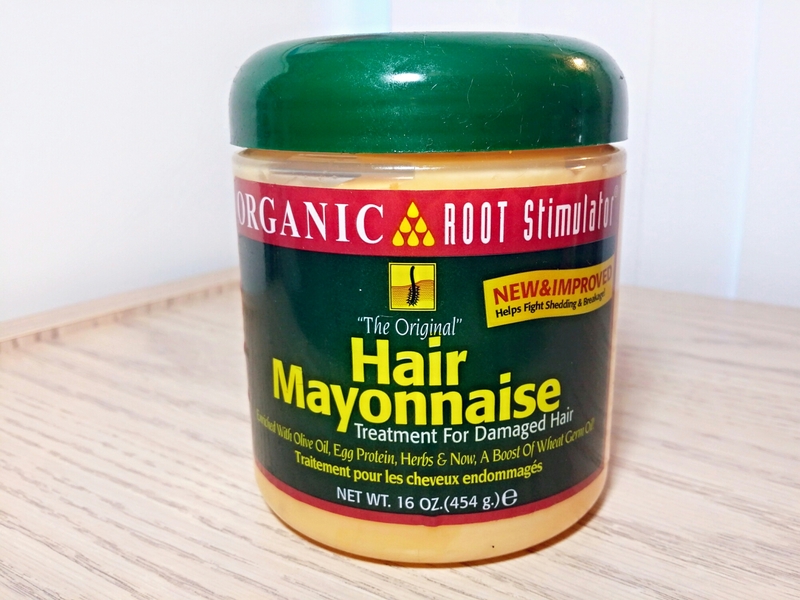 My long time favorite has been the Organic Root Stimulator Hair Mayonnaise because it’s chock full of great ingredients like olive oil, egg protein, wheat germ oil and more to provide lots of moisture and a boost of protein too. It’s a must have for relaxed and natural hair! ← Urban Decay Matte Revolution Lipsticks Coming Soon! Hey, glad you found these products that work for your hair! And a lot of natural oils/products in them too. My hair tends to get oily at roots and coarse/dry at ends, so I only put products at the ends ( leave-in conditioners, styling creams, hair oil) But if I put too much, it weighs my hair down. Oh, and my hair is getting thinner (joys of getting older), and I can’t live without TIGI Bedhead Superstar Queen for a Day Thickening Spray. I do about 3-4 spritzes at crown, then blow dry, and my hair looks about 25-50% fuller, it lasts all day, without feeling sticky or crunchy.